We are evolving our methods to improve our codes. Adding cache plugins and increasing the server performance. One frustration, that we can relate and have in common, is how do you benchmark it and figure out what we been doing is creating an impact. There are various applications out there that can help you in this. Yet few can offer the result as per Google’s requirement and benchmark. Now, thanks to Google Lighthouse Audit Score, we are able to get this done. Lighthouse is an open source webpage audit tool from Google. 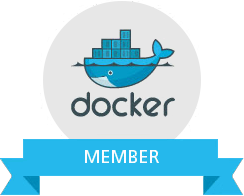 It is available in developer tools as a chrome extension and a node command line module. Lighthouse conducts audits in a few key areas. Which include performance, accessibility, best practices and Progressive Web Applications. It gives you an overview of your user experience and issues you might have with your website. 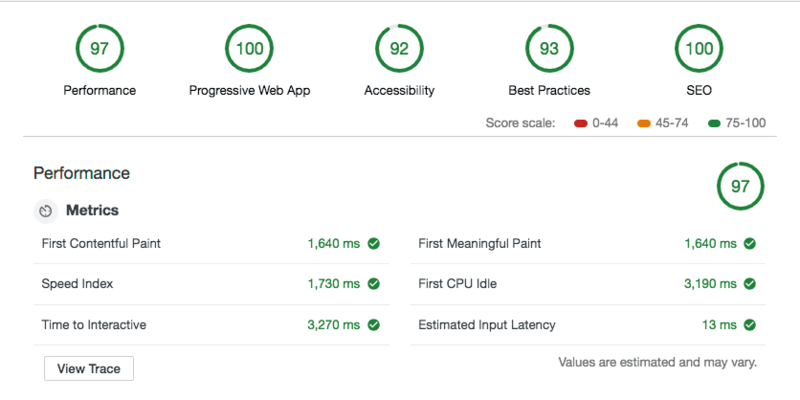 Google Lighthouse audits webpage and ranks them out of 100. A “Good” score is above 80 and a “bad end user experience” is score lower than 80. 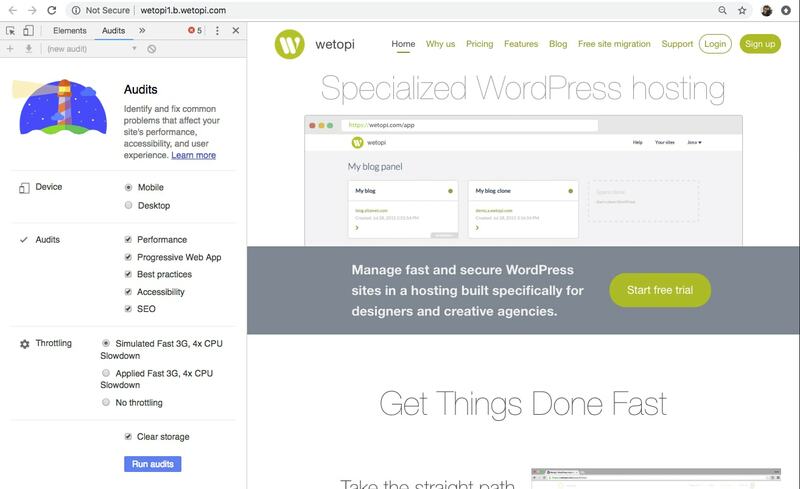 At wetopi.com we continuously strive in improving our services, the speed of our servers and the accessibility of our website. Our obsession is for the betterment of our customers. 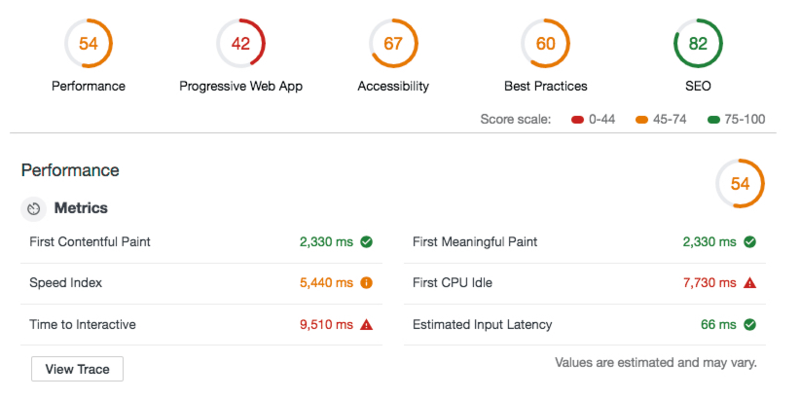 In this article, we will share with you how we improved our website Google Lighthouse audit score. We started with low expectations. We built wetopi on top of an old and over-bloated theme, but we ended up with an impressive result. To the glory of almost reaching the score of 100!! This is our first refactoring effort focussed on Lighthouse. We decided to take the experimental approach and work our way through the report findings. The result? was spectacular! and a brilliant surprise for us. Let’s get to the gritty details. We will reproduce the steps from an old backup of our site. We cloned our site with wetopi cloning tool, created a new development server running in a sub-domain. How do I use google lighthouse? In Chrome browser, right click on the webpage, select inspect, a sidebar should appear on your right side or below depending on your setting. On the top bar where you see elements, console, choose Audits. Scroll down through the options and click Run audits. Please wait for a few mins for the result to appear. We were loading a huge CSS file. This is the price to pay when we use an all-purpose WordPress theme. In our case, we took the decision to clean this CSS file. This “curation” task requires a lot of time. We ended up reducing our style.css by half of it original size. Mainly stripping woocommerce, slider, and other not used css codes. This “Defer offscreen images” has a potential estimated saving time of 1.05 seconds! Google did a great job giving a “Learn more” to help us solve the problem. After some research looking for the fastest and lightest plugin to resolve this problem, we solved this first optimization with Lazy Load by WP Rocket. It is currently active on over 20,000 installs with a 4 out of 5-star rating. The big advantage to this plugin is, it weighs less than 10 KB. There are no options to configure, simply install the plugin and lazy loading will simply work. NOTE: after Lazy Load install, please go to your WordPress admin settings and select the lazy load of Images. The lazy load moved us from 66 to 70 in audit performance score. We replaced video embeds with simple infographic explanations. jQuery Migrate simplifies the process of moving older jQuery code to newer jQuery version by identifying deprecated features. In our case, jQuery migrate is not needed, we are running updated plugins and themes. Let’s try our site without it. This piece of code, when not in wp-admin, checks if we register jquery then we remove jquery-migrate from the dependencies array. Always check all your site pages and corners if they are functioning as expected. In our case everything was fine!. Continuing our task to reduce blocking. Google audit suggests us to set font-display fallback. The new font-display descriptor for @font-face lets developers decide how their web fonts will render (or fallback), depending on how long it takes for them to load. The idea is to not block the rendering process so font face is rendered with a fallback at first if it’s not loaded, but the font is swapped as soon as it loads. Another improvement we can do is to serve the google fonts from our server. Our wetopi servers are ultrafast and have a better cache policy. We will disable all the google fonts in our theme admin panel and download the files. Here a tip. Google fonts site does not provide all the font formats! we want at least woff and woff2. We found this project online: http://google-webfonts-helper A Hassle-Free Way to Self-Host Google Fonts. @majodev Thanks! In this performance step, we will enable our cache plugin WP Super Cache and enable the Letsencrypt certificate to serve pages with https. The only downside is HTTP/2 requires a secured connection. This means adding more time dealing with https and Secure Certificates. But we are confident in wetopi infrastructure, servers are finely tuned and use the latest protocol HTTP/2. The result? : Awesomeness 2.0! 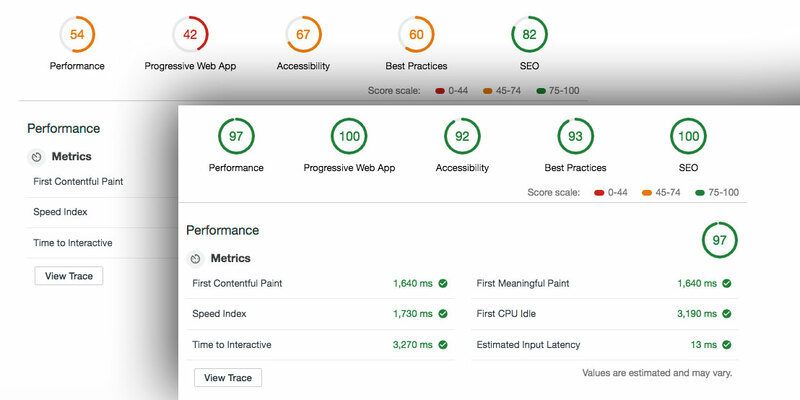 Thanks to https, we jumped to the “green scores” in performance and also in Best Practices. Code in our functions.php the logic to load plugins only when required. Or find a plugin to help in this selection. Splitting plugins in two blocks were our approach: a plugin combination for our corporate site pages and a second one for our blog posts. We installed “plugin load filter” to implement this approach. This plugin lets you enable/disable plugins depending on lots of criteria. Be careful, don’t be crazy! We are satisfied with the performance score, lets go to the next Lighthouse audit section. Not every web page needs this offline functionality. In our case, our customers usually go to our web page to click the login button. If our website goes down they will lose the path to wetopi hosting panel. Sounds good to add this offline functionality to our customers. WordPress plugin ecosystem is like Doraemon’s pouch: There will always be a plugin to solve your problem. 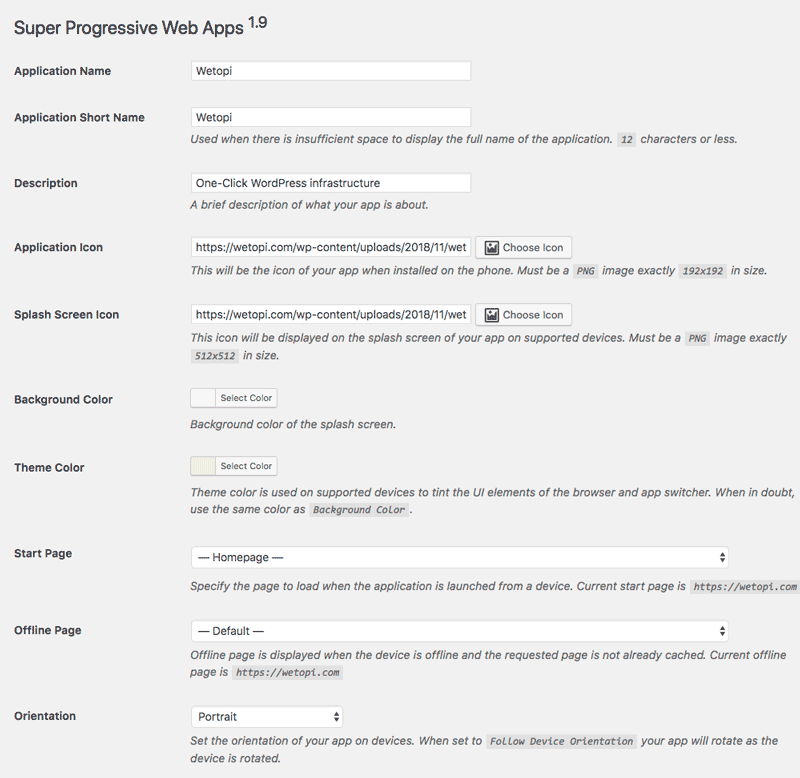 Searching for Progressive Web App we found SuperPWA. This plugin is awesome. We installed it and configured it by simply uploading our app icons. In less than an hour, our PWA was up and running. The Audit result was an impressive 100! Thanks to Super PWA for creating this awesome plugin and making it available to the WordPress community. At that point, we were green and reaching the 100 score in all sections. The accessibility and SEO list of fixes were easy to resolve: especially the main images without alt descriptions and buttons without accessible names. We are satisfied with the overall result for the amount of time invested. Moving Accessibility-score and Best Practices Score to the 100 would mean a change in design and Theme. Here are a couple of considerations we should take in serious account when dealing with WordPress performance. Adding plugins means adding load to our server and to our end user browser. Don’t install plugins you strictly don’t need. Build on top of light themes. 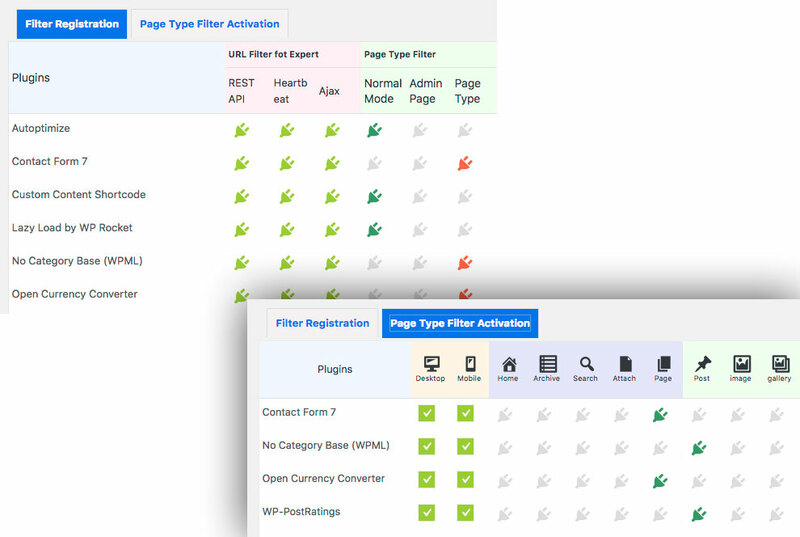 In our next website “refactoring” we’ll take special attention in the theme selection. Theme is a crucial piece in a WordPress site. Everything depends on it. 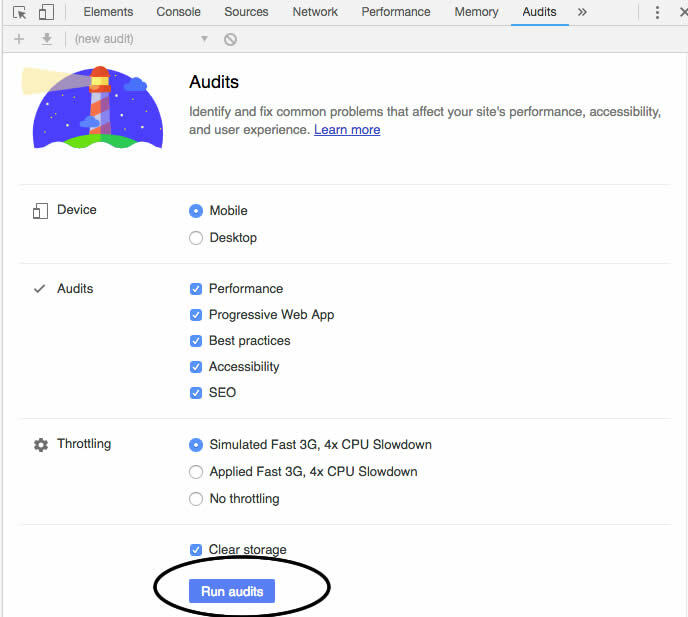 I hope we have enlightened you on how you can increase the speed of your website using Google audits aka Lighthouse. If you plan to optimize your own site, count on us. With wetopi you have free development servers and free migrations. Lets migrate a copy of your production site and start with the Google Audit Optimization now!